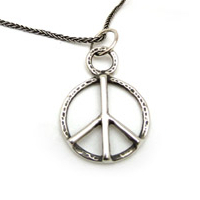 The Peace Symbol. 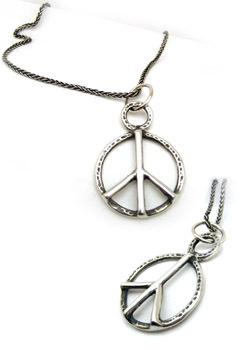 Designed on Feburary 21st, 1958 by Gerald Holtom, it has been 51 years since the icon of the new peace movement was created for the Campaign for Nuclear Disarmament. The symbol was shortly after appropriated by the mainstream PEACE movement and has been in public consciousness ever since. We are releasing this hand fabricated and tooled design to honor the grass roots nature of the peace movement and to usher in an idea whose time has come. 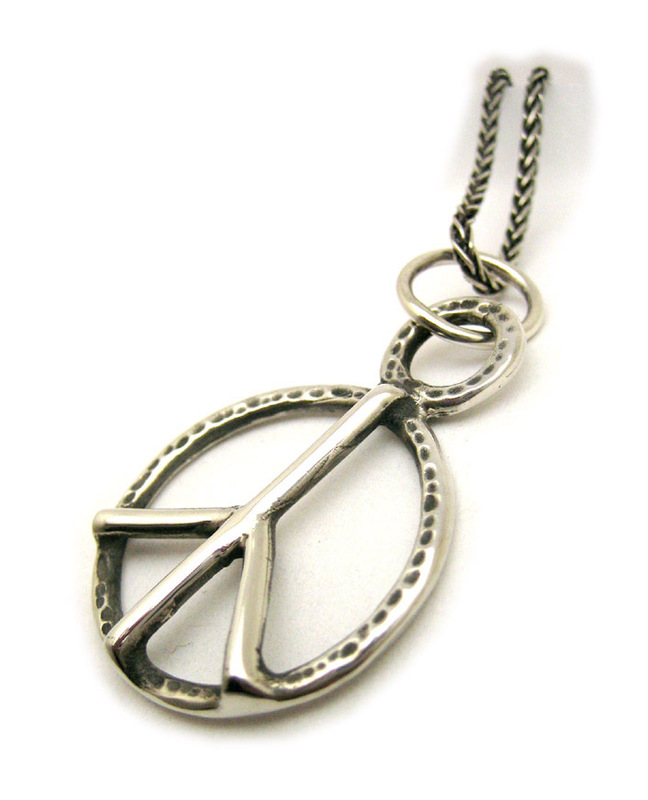 The Peace Symbol necklace, a metal fabricated design, soldered and hammered, filed and hand finished, molded then cast in the metal of choice. It is 1" wide and 1 1/4" tall with a large jump ring. The necklace is set with an 18" spiga rope chain, printed pamphlet, and green velvet presentation box. Other chain lengths available as options below.